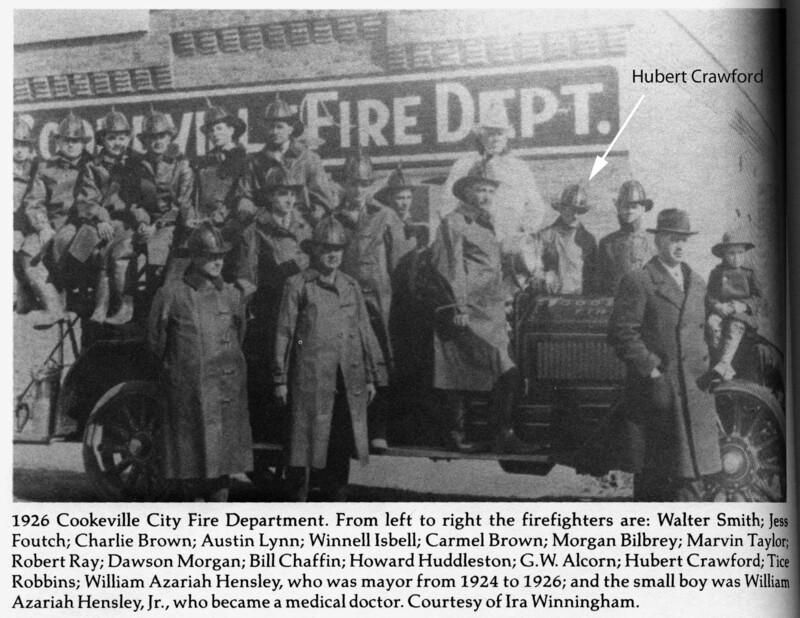 Hubert was a member of the Cookeville Fire Department in 1926 as shown in the picture below. 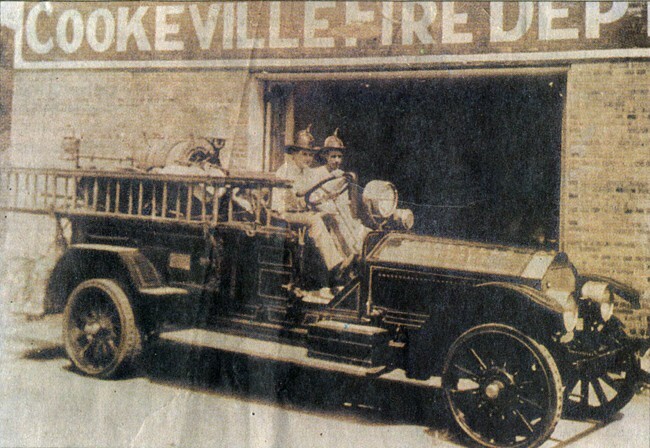 The newspaper printed a nostalgic photo on page one this week of Cookeville's volunteer fire department in 1926, clustered about the city's first fire truck, which was purchased two years earlier. The 1926 firefighters included nozzleman Walter Smith, captain Jess Foutch, nozzleman Charles Brown, ladderman Austin Lynn, ladderman Winnell Isbell, hoseman Carmel Brown, chief G.W. Alcorn, assistant driver Marvin Taylor, assistant chief Hubert Crawford, captain Tice Robbins, captain Dawson Morgan and driver Bill Chaffin. The newspaper says that the city was served by the "bucket brigade" system until 1905, when volunteers were organized. They used a series of pushcarts stationed about town to fight fires. They were reorganized in 1917 and in 1924, under Mayor W.A. Hensley, the city bought its first fire engine. The second wasn't purchased until 1948. Below is a better picture of the 1924 American LaFrance fire truck above. It's the first fire truck in Cookeville and cost $6,000 when Jesse Fouch purchased it for the city. This fire truck is still owned by the City of Cookeville and was used in parades until the early 1990s when a cylinder cracked. Effors are underway in 2011 to fix the engine so that the old fire truck can once again be used in parades. The water capacity of the American LaFrance fire truck is 30 gallons.